LifeFlight 8, Moosonee Ontario 31 May 2013. Adrian Park dissects a rotary wing crash that, because of organisational failings, seemed to happen with a disturbing inevitability. Midnight strikes and the crew of a Canadian emergency services S76A helicopter, callsign ‘LifeFlight 8’, begins the startup checklist. The rescue crew is unaware the preceding 12 months has primed the night for a fatal accident—theirs. If you were told with certainty the conditions were primed one night for your own fatal accident, what would you do? I know what you would not do: you would not, to quote Welsh poet Dylan Thomas, ‘go gentle into that good night’, you would instead ‘rage, rage against the dying of the light’. If you thought there was any merit to the claim, any merit at all, you would do everything in your power to avoid the fate waiting in the darkness. You would ratchet up you planning to a level of thoroughness never before seen. Questions would be racing through your mind. What have you missed? What is it you’re not seeing? What is hiding in the detail? Your instinct to survive would empower pointed and insistent questions. What systemic snares are finally going to bite tonight? What minor hazards are coalescing into major hazards? What unsafe behaviours have been normalised, creating narrower and narrower safety margins? Your thinking about your training, your safety culture, your maintenance and your own readiness would have an adrenalin-fuelled acuity. You would probably scour, not just look cursorily, at the maintenance records for the flight. You might even phone a friend and a get a second opinion about ‘grey’ areas. Onlookers would wonder why you are taking twice as long on the pre-flight and taxi checks. You wouldn’t just be looking for reasons to go—to get the job done—you’d be looking for reasons not to go, to avoid that fatal crash. You would not be going gentle into that good night. And yet, just after midnight on 31 May 2013, in Canadian timber country, LifeFlight 8, with two experienced pilots and two paramedics, went calmly to its destruction. There was no rage against systemic failures: against a failed training program, or overwork, or governance passivity. There was not even a whimper—just a, disturbingly subdued, serpentine descending turn: unchecked, unopposed and lethal. The aircraft captain began his night shift at 1845 with a call to transport a pediatric patient from Attawapiskat to Moose Factory in northern Ontario. The sending clinician had classified the patient’s medical condition as an emergency. The captain, a well-respected pilot with over 10,000 hours in command (and also a chief pilot for another organisation) did what every good pilot should do before a night flight. He checked the weather and found it very poor. He declined the task. The tasking agency contacted him 90 minutes later and, after re-checking the weather conditions, he again declined. Closer to midnight, and on checking the weather reports yet again, the captain contacted the tasking centre to say he would accept the task. The agency did not question his decision. Nor did the crew. They might have had they known the captain’s recent flight proficiency check had revealed concerns about his night-flying proficiency and recommended that he didn’t fly at night. Additionally, the training itself had not addressed normal operating procedures, and had been inconsistent and unrealistic. A few months prior, the base’s senior lead had been removed as part of a restructure, and at the same time, faced with pilot shortages and staffing pressures, the operations manager had been double-hatting as the chief pilot, while the newly appointed chief pilot had been acting as both chief and deputy chief pilot. Both were new to helicopter emergency services (HEMS) and were compensating for the empty positions of check and training manager and safety manager. This was how a distant operations cell, with de-centralised scheduling and little knowledge of local conditions, rostered an unproficient pilot that night as the aircraft captain. These were not the only conditions priming the night for fatalities. In the previous 12 months, Transport Canada, the regulatory overseer, had identified numerous non-conformances within the company’s training program. The non-conformances were never rectified, nor did Transport Canada change its level of surveillance, or impose restrictions. In essence this meant pilots and crews were ‘legal’ to fly; that is, legally compliant with basic currency requirements, but not proficient for all the conditions they would encounter (such as a dark and overcast night). At the stroke of midnight, the pilots began the pre-start checklist. The cockpit voice recorder would later reveal the captain was struggling to keep up with the functional demands of the aircraft and was well behind the eight ball. Basic read-backs in the checklist were missed. Important action items such as radio altimeter settings were not acknowledged, briefing data was omitted, and at one point the captain had to tell the co-pilot he couldn’t find the control for the instrument lights. There was no acknowledgment of this pilot clunkiness, nor were there any questions from the crew about whether all was well in the cockpit. All were going gently into that dark night. ‘30 degrees of bank’. The co-pilot politely acknowledged the call, apologised—and did nothing about it. Shortly after this, the captain spoke again indicating they were descending and then said: ‘Lets climb’. It was too late. 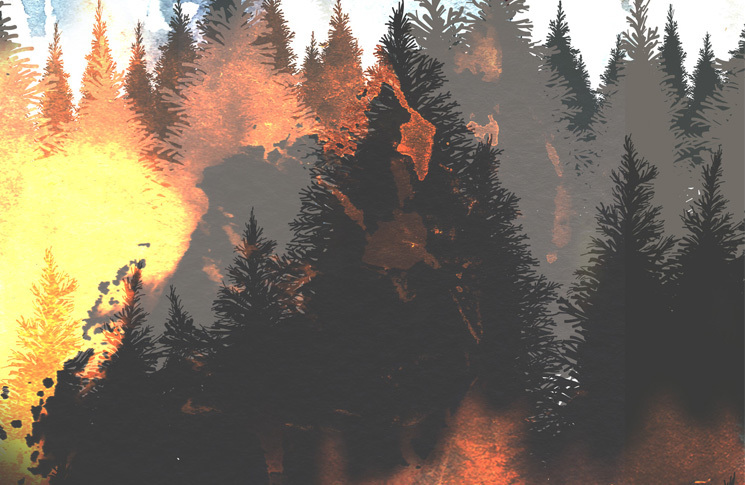 At cruise speed, and in a steady turning descent, LifeFlight 8 entered a forest of conifers. The fuselage struck the trees, and the rotors clashed violently with trunk and timber as the aircraft began its 120 metre crash-run through the forest. The tail rotor followed, shedding a blade, then another, causing the aircraft to yaw and pitch as the rotor blades broke themselves into pieces against unyielding forest wood. At some point the fuel tanks ruptured and the near-full fuel load ignited explosively as the aircraft finished its tumble and came to a stop, burning intensely. ‘Controlled flight into terrain’ hardly describes it. Disturbingly, the coroner would later find evidence of a ‘survival interval’ for the captain and a paramedic in the rear—a period of life between the impact and significant inhalation of combustion products. The impact fire was easily visible at mid levels to the search and rescue C-130 which arrived some hours later—delayed due to an inappropriately fitted antenna dislodging in the crash and muting the beacon signal. What stupefies or pacifies the survival instinct? What is it that causes experienced pilots, managers and regulators, with apparently sophisticated support structures, to accept the erosion of proficiency, accountability and plain old common sense? I’d like to suggest it is not the lack of action or effort—for most aviation companies and their regulators are in fact very busy—but rather the misdirection of effort. LifeFlight 8 belonged to Ornge Rotor-Wing which had experienced large-scale growth. This was common for many EMS companies in Canada and the United States. According to a 2015 US Department of Transportation Inspector General report, in 1980 about 50 air ambulances operated in the US; by 2014, this had grown to 1500 specialised air medical helicopters used by 75 different companies. Over the last 15 years in the US, there has been a trend of increasing HEMS-related fatalities. With 29 fatalities, 2008 was the worst. This might seem low, but a 2008 HEMS accident rate applied to the air transport world would mean 90 major airline crashes in one year (compared with 12 in the ‘bad’ year of 2014) and tens of thousands of deaths. 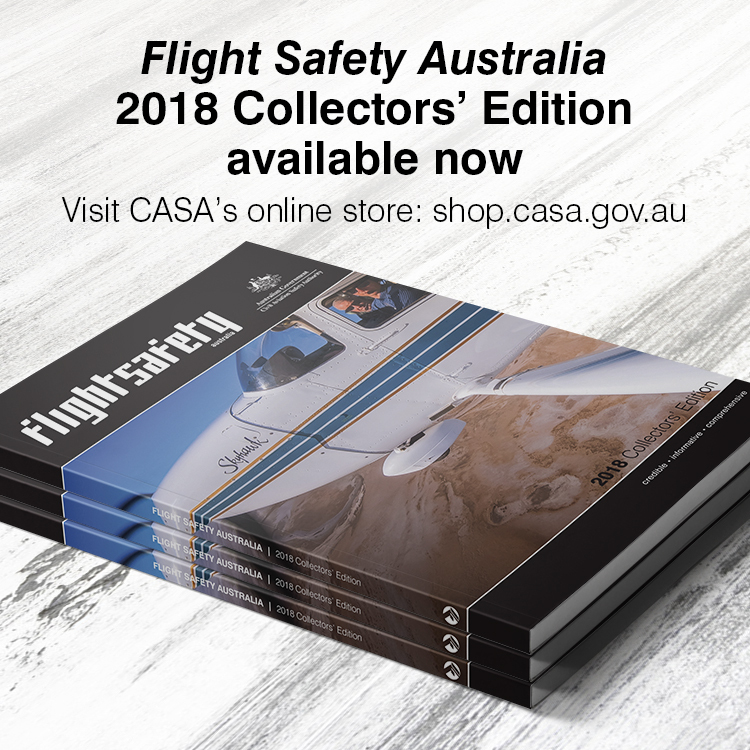 This disturbing rate has prompted the Federal Aviation Administration (FAA) to issue numerous reviews, investigations and recommendations focusing on the need for centralised, aviation-trained tasking centres; more comprehensive training; aircraft equipment improvements (such as terrain awareness systems and night devices); HEMS-specific oversight, as well as mandatory risk management and human factors requirements. As of April 2015, an Inspector General report found the FAA had not yet completed critical safety requirements relating to the need for new operational legislation, additional equipment and improved training standards. Although LifeFlight 8 was Canadian, it could easily have been on the front cover of the US Inspector General’s report. The accident report for LifeFlight 8 had this to say in its opening statement: ‘The causes of this accident went well beyond the actions of this flight crew’. The report went on to articulate equipment needs such as terrain awareness and warning systems and night vision goggles. More directly, it stated the crew were ‘legal’ but not proficient for the flight conditions. This was a result of the confluence of deficient regulatory oversight, management workload (and inaction) as well as under-resourcing. Transport Canada’s approach to dealing with a willing operator allowed non-conformances and unsafe practices to persist. The pilots were trained to react immediately to a light on a warning/caution panel, but as managers they paid less heed to what should have been ‘caution lights’ on a safety systems ‘panel’. There were plenty of safety systems caution lights on at Ornge Rotor-Wing. There was the proficiency caution light. There was the regulatory-oversight caution light. There was the management workload caution light. And yet all went on quietly as though these lights were ornaments to be discussed, rather than warnings to be actioned. I have no doubt the crews, managers and regulators were busy—with audits, reports, checks and any other of the scores of every-day tasks it takes to keep an aviation entity flying. But in that busyness, and while many other problems were being addressed, they were completely missing the problems that had the real barbs. So it was LifeFlight 8 was ‘compliant’ all the way to the crash site. LifeFlight 8 (once again) shows us those that go gentle into the night do so because of conditions that exist well before the impact. When terrain or trees suddenly loom large in the windscreen, reflexes and adrenalin might kick to maximum, expletives will be ejected, controls desperately yanked but it will be too little too late. Better to examine your organisation in the cold light of day.